We constantly have the pleasure of setting up at some magnificent venues but nothing so far has been quite like the East Wintergarden in Canary Wharf. With a stunning floor to ceiling glass front and an amazing ceiling height, the whole venue was lit up with natural light. Nneka and Tosin has a wonderful relaxed attitude, they wanted guests to be able to feel like they could enjoy the table and not just look at it. The yellow and mint theme was reflected throughout the table. 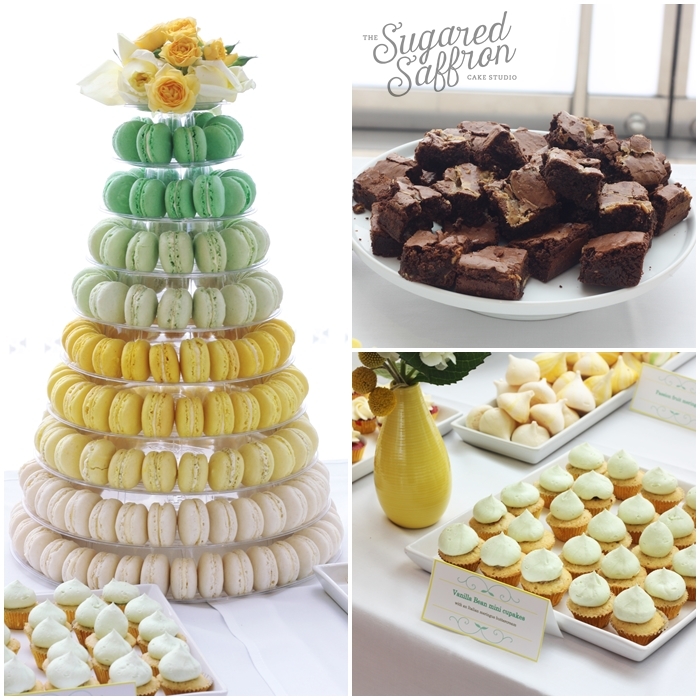 Ombre yellow and mint green macarons stood centre stage with a beautiful fresh flower topper provided by the couples florist Boutique Blooms. 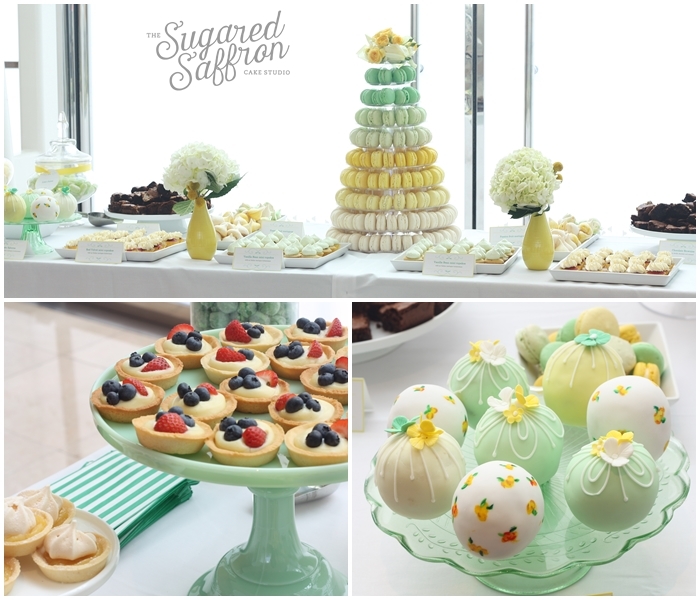 Assorted mini cupcakes, ombre meringues and intricate hand painted cake spheres also featured as delicious table treats. The tableware was also well thought through, with imported white milk glass stands, white display trays, green glass cake stands and even mint green milk glass pedestals. 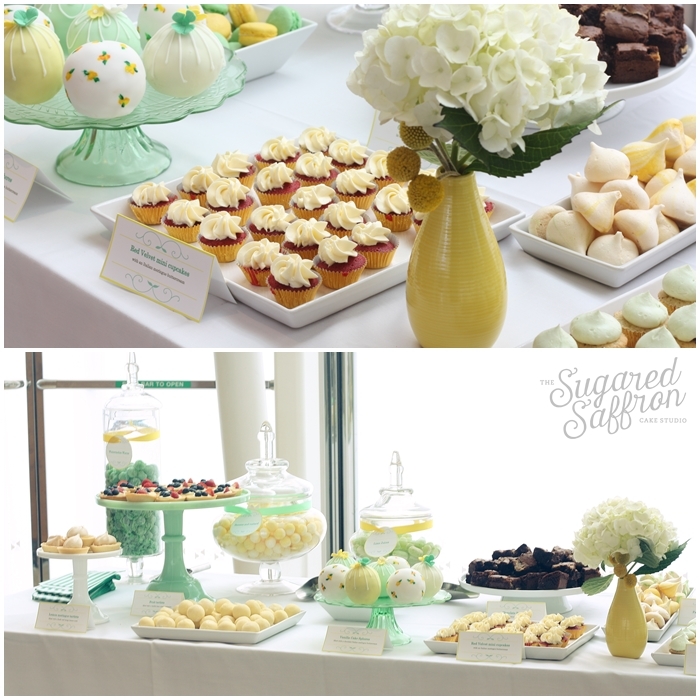 In addition to the baked goods, the couple also had glass apothecary jars filled with delicious green and yellow coordinating sweets. 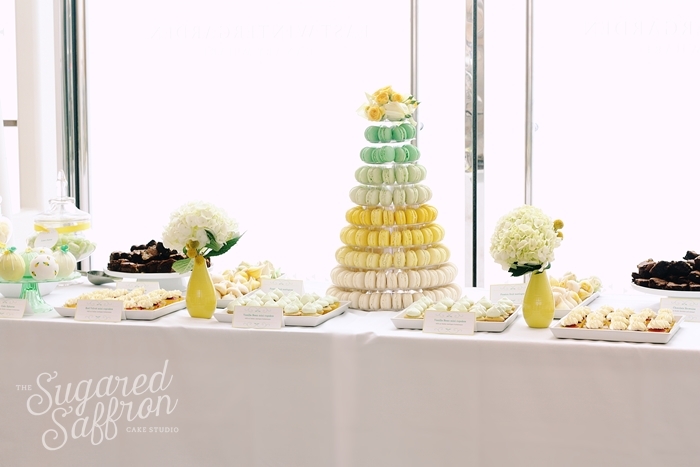 The watermelon sours and lemon bon bons were our favourite! We wish Nneka and Tosin and long and happy marriage, just as sweet as their wedding day!